Meghan Markle is not holding back about her feelings for Prince Harry. She gushed about being “in love” with him in her first-ever Vanity Fair cover. Dating a prince can land you the cover on a major fashion magazine. No one knew who Meghan Markle was before until she started dating Prince Harry last year. People hardly watch Suits. But, let’s get back to Meghan Markle. She is very happy with Prince Harry and she wants the world to know. She wants to take their relationship to the next level. She’s been busy planning their wedding and their first official public appearance together. According to Life & Style Magazine, Meghan Markle has been very busy planning their reportedly secret wedding. 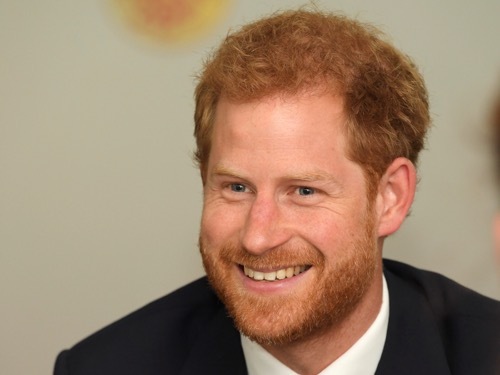 Sources believe Prince Harry proposed to the actress when they went to Africa to celebrate her birthday. According to Life & Style, the couple is planning to get married in the Caribbean. Sources told the tabloid that they chose to say, “I do” in Jamaica while surrounded by close friends and family. Meghan Markle has already chosen her maid of honor. One of the sources told Life & Style that she wants Quantico star Priyanka Chopra as her maid of honor. The 35-year-old actress recently spoke out about Meghan Markle’s new relationship with Prince Harry. She also defended her friend’s “sexist” Vanity Fair cover. While Kate Middleton wasn’t chosen, she will be involved in the wedding along with Prince William and their kids George and Charlotte. A small wedding would against the royal family. Prince Harry would much rather elope with Meghan Markle than to put on a big spectacle. Prince Harry feels like he found his princess even if he’s been pushed to the sixth in line. He enjoys their relationship. It’s clear that the couple is extremely private about their relationship. It’s hard to find photos of them kissing, holding hands, or even stepping out together. But, that could all change. Prince Harry and Meghan Markle are planning to make their first public appearance, reports PureWow. The couple is reported to attend the Invictus Games, which Harry founded in 2014 on Sept. 23 in Toronto. The city is close to both Harry and Megan Markle’s hearts. It’s the same city where Meghan Markle films her television show. Prince Harry and Meghan Markle Will Announce Engagement In December?